The JOYO Zombie micro guitar amp head blends valve and solid state guitar amplifier technology, resulting in a tiny amp head that can produce an immense high wall of sound. The JOYO Bantamp series are arguably the most feature rich & versatile mini amp heads available at this price in the UK ! The ZOMBIE comes alive with its gain settings, switch to the Distortion channel and you will hear the Zombie scream pure terror. You may actually benefit from an additional Noise Gate to control! Once you start working with this amp, you will soon forget its size. You will not forget the very affordable price and amazing tone it delivers. It will feel as if you are playing through a much bigger head amp and your audience just won’t believe where your sound is really coming from. Introducing the JOYO BantCab ! 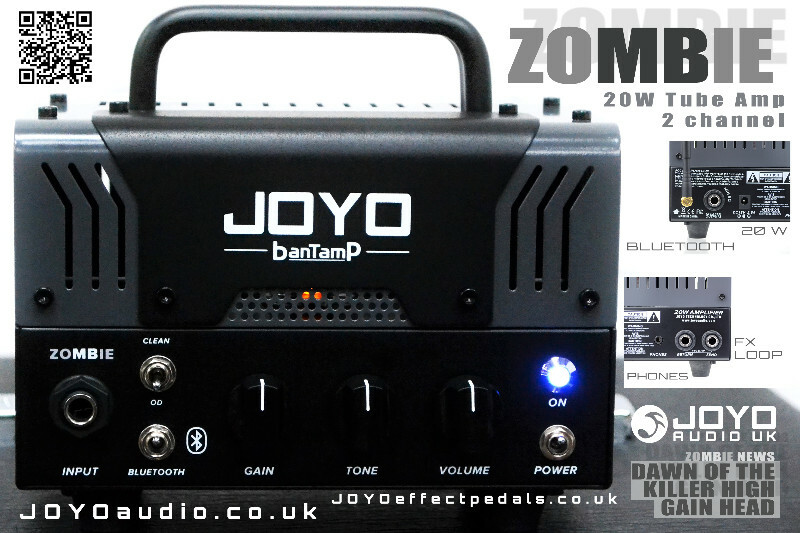 JOYO have designed the BantCab to match perfectly with BanTamPs. Th..